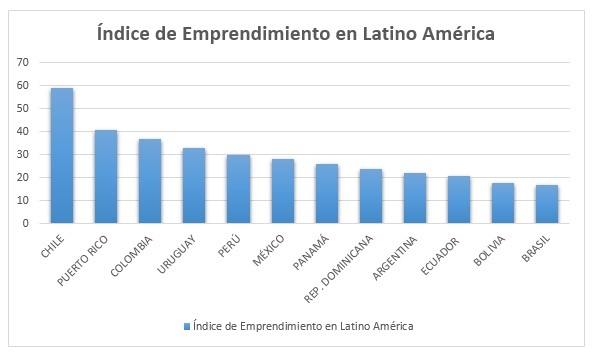 According to the 2017 Global Entrepreneurship Index, entrepreneurship in Chile ranks in the 18th position of the world ranking with 58,8 points. In second place, and quite far, we can find Puerto Rico with 40,6 points. Starting a business from scratch is already hard. It requires resilience, strength to face upcoming results and discipline, among many other qualities. Moreover it’s even harder to do it alone, and we are not talking about partners or friends, but about the company of the state. It’s quite hard to believe that a country will support your business without asking for anything in return. Well, in Chile you will be able to find the entrepreneurship ecosystem that you dream off; here we point out the 5 reasons that explain the success of entrepreneurship in Chile. 1) A state that recognizes the value of entrepreneurs. As simple as it sounds, the first step in order to support entrepreneurs is to recognize them. Chile, unlike its neighbors, has been supporting and believing in entrepreneurship through it institutions. The important and unique role of the entrepreneur in society, along with the business itself, are concepts already established in the nation, and have a relevant presence in political debates and daily events. As an example, being an entrepreneur is one of the legal recognized causes to apply for a visa or permit. This also extends from the public area to private banking which have several products for entrepreneurs and business in early stage, they often see them as an opportunity rather than a risk. In consistency with the latter, in the last decade our country has potentiated the area with several laws and institutions regarding entrepreneurship in Chile. A perfect example is CORFO (www.corfo.cl), which periodically provides funds and programs to boost and promote a variety of business, from bakery’s to the latest tech app. This, in a central government level, whilst locally “municipalidades” put effort in realizing forums, exhibitions, grants and technical training. That’s why in Chile we say that if you don’t start your own business, is simply because you don’t want to. 3) Start-up Chile, from Chile to the world. Among all the different programs CORFO has developed, its most notable one is “Start-up Chile” www.startupchile.org. They present themselves as “a business accelerator created by the Chilean government in order to import a high level of technological entrepreneurship based in Chile” and they have achieved their goal. Up to this day the program has funded over 1300 business, which are monetized in 1,4 billion dollars. Yet, the impact extends far beyond the amount of dollars. Since its creation over 4000 citizens of 79 different countries have been beneficiaries of the program. All of them have lived in Chile to develop their business, enriching our culture and contributing the country with highly qualified human resources. Therefore, it’s fair to say that Start-up programm is a major milestone of the entrepreneurship in Chile. It has created a solid, constant, breakthrough program that year by year created new employment and adds value to our country, monetizing great ideas that needs this positive initiatives to become a reality. The constant application of public policies throughout the years have generated a huge impact in our country. The fact that Chile is now the regional leader in entrepreneurship is a cause of this effort, which grows every year. A major proof is Chile’s “entrepreneurial ecosystem” consisting in human and institutional networks that support the entrepreneur in several stages. As an entrepreneur, I’m proud to declare that nowadays we have an ecosystem that goes beyond words, reflecting in daily life. For example, in Santiago its quite easy to find co-works to share and collaborate with other colleagues. Moreover, at least twice a week you can find events regarding pitch’s, seminars and free lectures, spread all over pubs, universities or labs. 5) Political stability, infrastructure and highly qualified human resources. All the things we have already stated are amazing, but can’t stand by themselves. 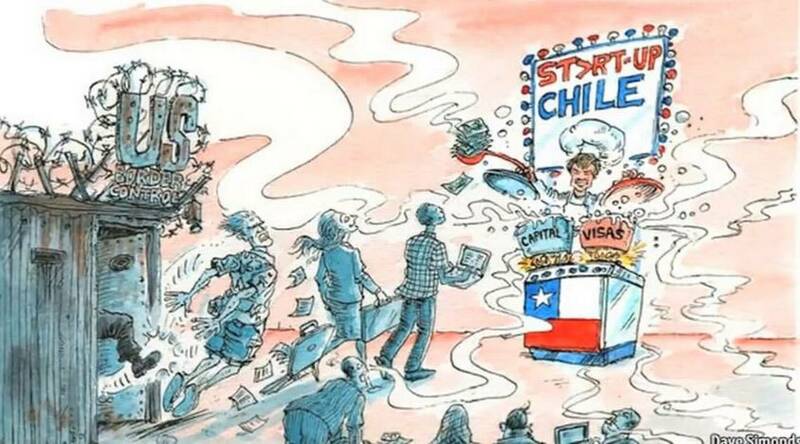 It would be pointless to invite thousands of citizens from other countries to develop their business in Chile, if we can’t give them access to first world technology, infrastructure, and of course security. The same is applicable to the human component, all of this new business require –in the mid or long term- to incorporate Chilean citizens to their institution, and therefore we must have qualified employees. This ranking is a proof that Chile is up to the task. Yet, we know that the formula of success is the constant development of public policies regarding this aspects, which need to give more and better benefits to entrepreneurs. This is the path that will make Chile reach the top 10 of this ranking, a noble mission that you can help us achieve. Article written by Matias Conejero Müller, attorney from Vivir en Chile.